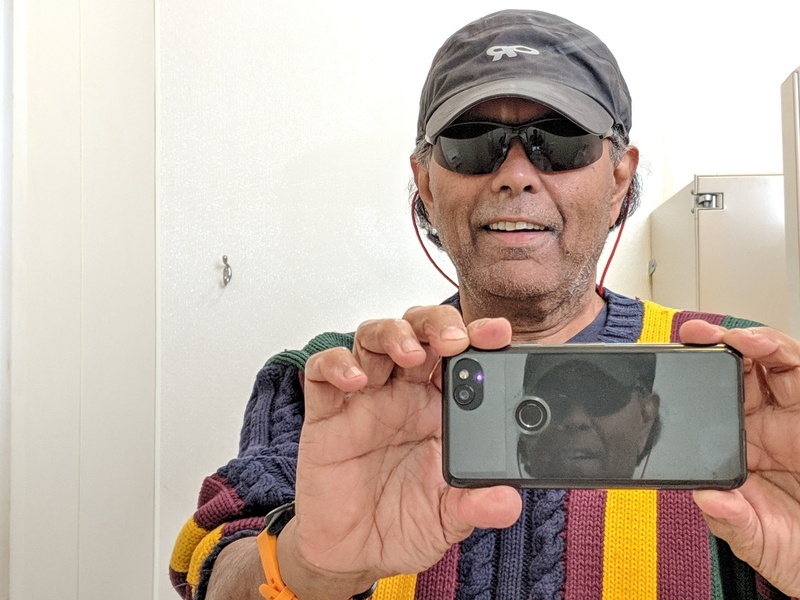 Taking Selfies My Way — Exactly 5-Weeks Post-Knee Surgery — April 11, 2019. 5-more days on crutches. Will be glad to ditch them. Doing OK. This was in Wolfeboro. I was getting ready to go for a walk along ‘Cotton Valley Trail‘ on crutches. I did some of it, but it was cold and windy. As you might have noticed I am not shaving as much as I used to prior to the injury. 47th post in this “Taking Selfies My Way” series.